Erie County Executive Mark C. Poloncarz was not exactly planning on a political brouhaha for the rollout of his new book on stadium negotiations with the Buffalo Bills, but his longtime Rath Building nemesis had other ideas. Just as Poloncarz began tweeting about his new book “Beyond the Xs and Os ‑ Keeping the Bills in Buffalo,” to be published in September by SUNY Press, Comptroller Stefan I. Mychajliw Jr. questioned if the county executive was giving away a trove of inside information – and in the middle of campaign season to boot. “There are a lot of unanswered questions here,” Mychajliw said Wednesday. “It is unprecedented and unusual for a county executive to release a book two months before Election Day on private information he has had for four years. “Is he divulging private information for profit?” he added. Poloncarz announced via tweet earlier this week the September publication of an “insider’s look” at the stadium negotiations that resulted in a new lease and the Bills keeping the National Football League franchise in Buffalo. He said Wednesday he was looking forward to its debut in the fall. But Mychajliw spoiled some of the hoopla with objections he sent to the county executive on Wednesday. Mychajliw acknowledged Wednesday that his questions may produce satisfactory answers, but wonders if Poloncarz is divulging private information surrounding the negotiations and whether the Bills can place confidence in future talks. As a result, Mychajliw has requested that Poloncarz answer a host of questions about the book deal and lease negotiations under the Freedom of Information Law. He also asks if the county executive has violated the County Charter by essentially taking on a second job as author. 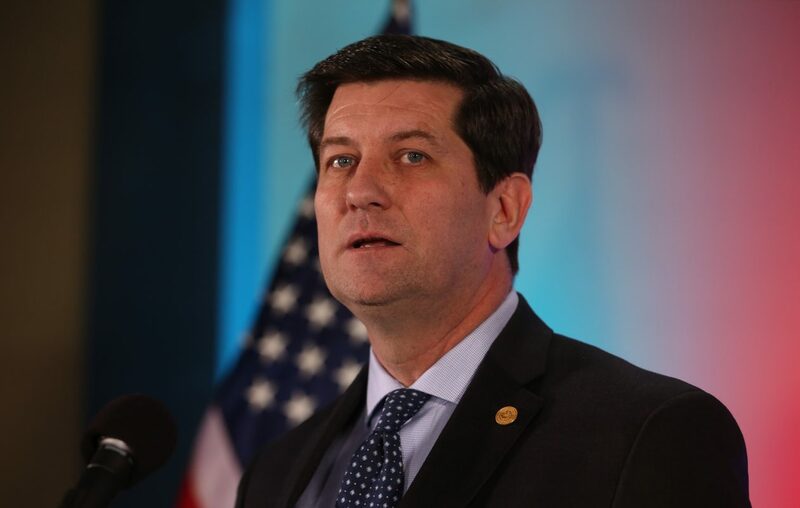 Poloncarz, however, dismissed all of the comptroller’s accusations during a late Wednesday phone interview with The Buffalo News. He said virtually nobody referenced in his new book is still associated with the team following the death of former owner Ralph C. Wilson Jr. and its sale to Terry and Kim Pegula. The county executive said the 192-page hardcover book (priced at $29.95 when it debuts in the fall) details the interplay among the county, state, Bills, NFL, Sen. Charles E. Schumer and others during the lengthy and detailed negotiations. It is important, he said, because Buffalo retained its team while three other cities – San Diego, St. Louis and Oakland – have all suffered through team relocations during the same general time period. Poloncarz said he did not receive an advance from the publisher and does not feel he has violated the charter prohibition against outside employment.